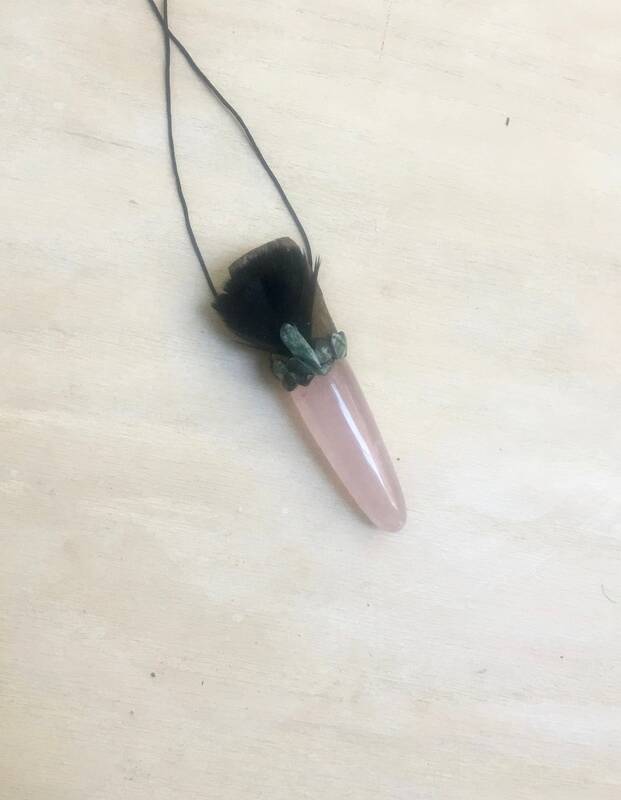 Infinite Peace - Assists with Connecting to the Angelic Realm & the Divine Feminine; Aids with Healing, Opens & Activates the Heart & Brings Deep Healing; Encourages Intuition, Compassion Self-Love, Empathy, Forgiveness & Abundance. 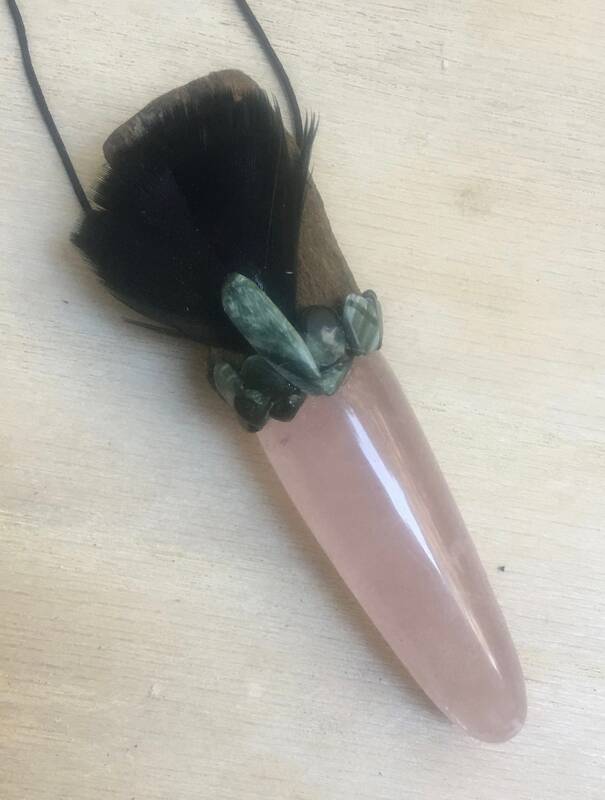 Rose Quartz – Stone of Unconditional Love and Infinite Peace; purifies and opens the heart; brings deep inner healing and self-love; strengthens empathy and sensitivity; aids in releasing unexpressed emotions; invokes forgiveness, self-esteem and acceptance. Seraphinite – Has a lovely spiritual energy that may help your search for spiritual enlightenment and will assist with self-healing. 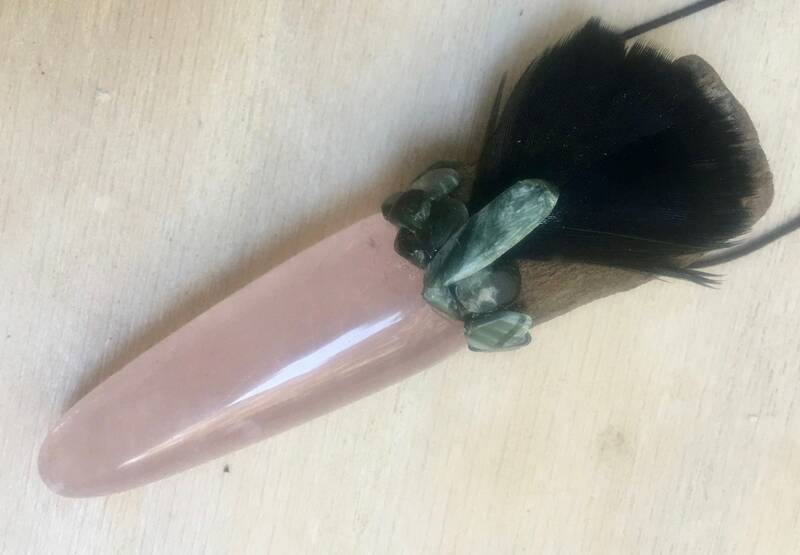 It aids your connection to beings in the angelic realm and with the Divine Feminine Assists with connecting to nature spirits. It has impressive healing attributes for both physical and emotional healing. 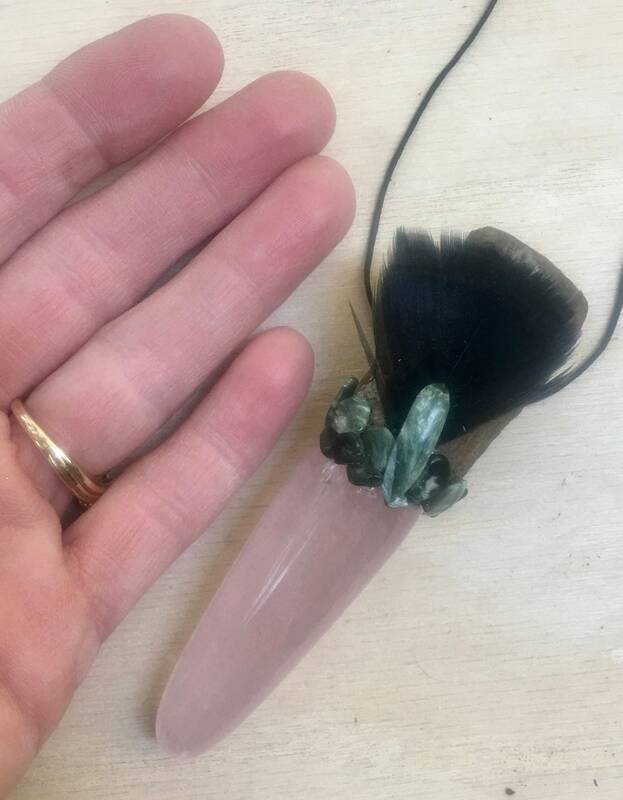 A stone to aid in bringing Divine Light into your being. 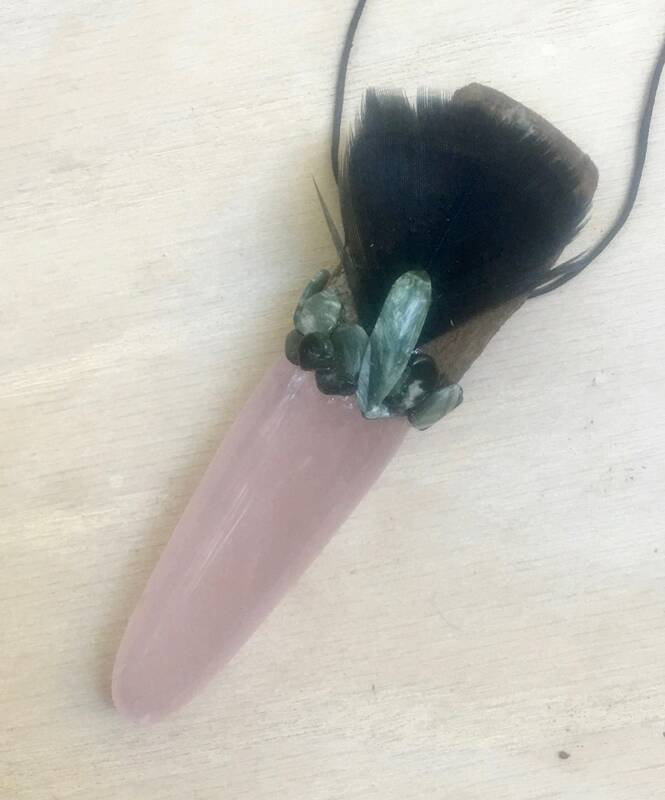 3.5 inches long; Rose Quartz 2.5 inches.